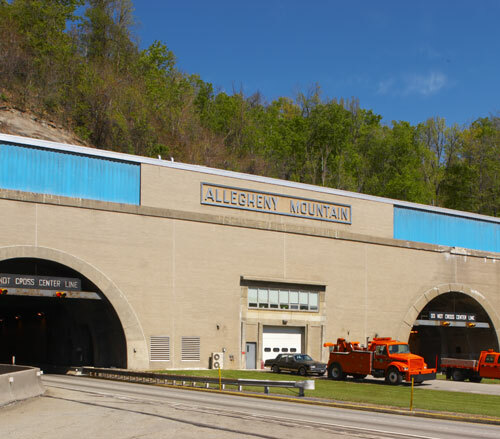 Relighting of the east and west bound tubes of the Pennsylvania Turnpike's Allegheny Tunnel. This was a "design build" project requiring Lighthouse not only to install new fixtures, but perform engineering design and installation of the switchgear and power distribution. 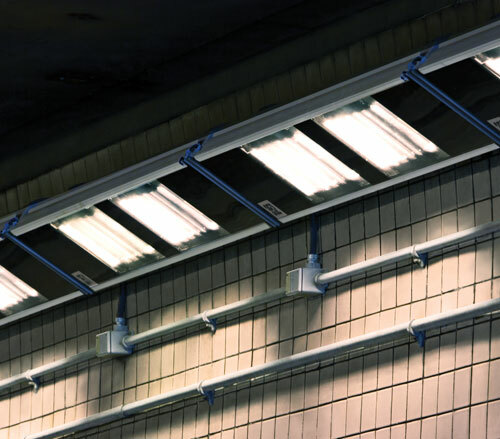 Lighthouse Electric Company, Inc., also working with our chosen manufacturer, constructed the fixtures based on the Turnpike Authority's criteria. All work including engineering was under the direction of or self-performed by Lighthouse. 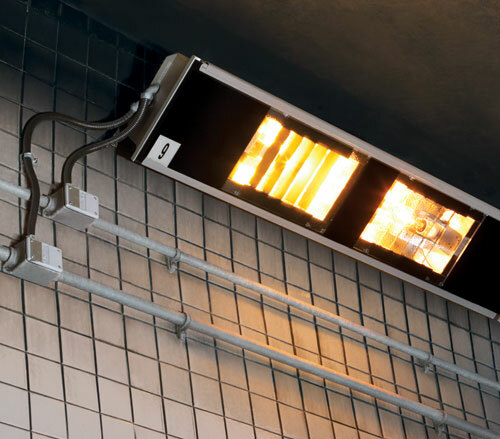 The lighting level is achieved by the spacing, reflectance and light intensity of the fixture. 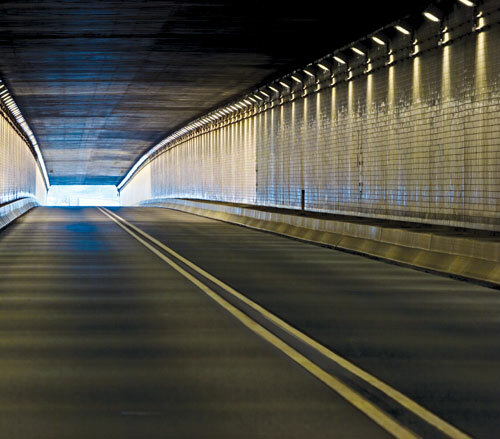 This project included light fixtures that were custom designed and fabricated for the reduction of a flicker effect within the tunnel. 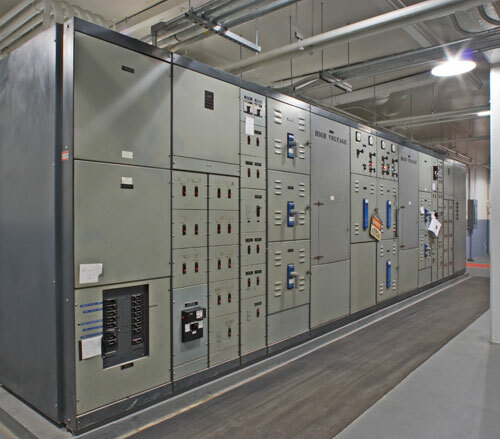 Two identical switchgear rooms, one on the tunnel’s east end and one on the tunnel’s west end, serve the tunnel’s power needs. 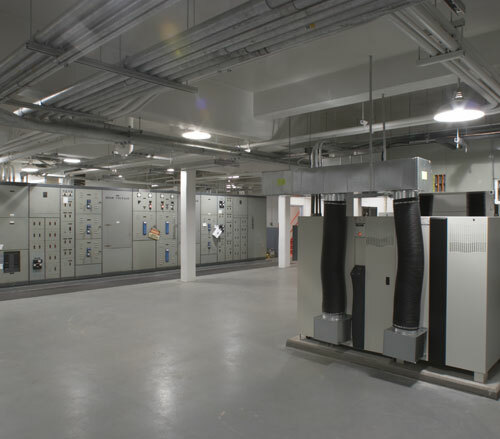 The photo shows one of the two switchgear rooms. At the front right of the photo are four uniterruptible power supplies.